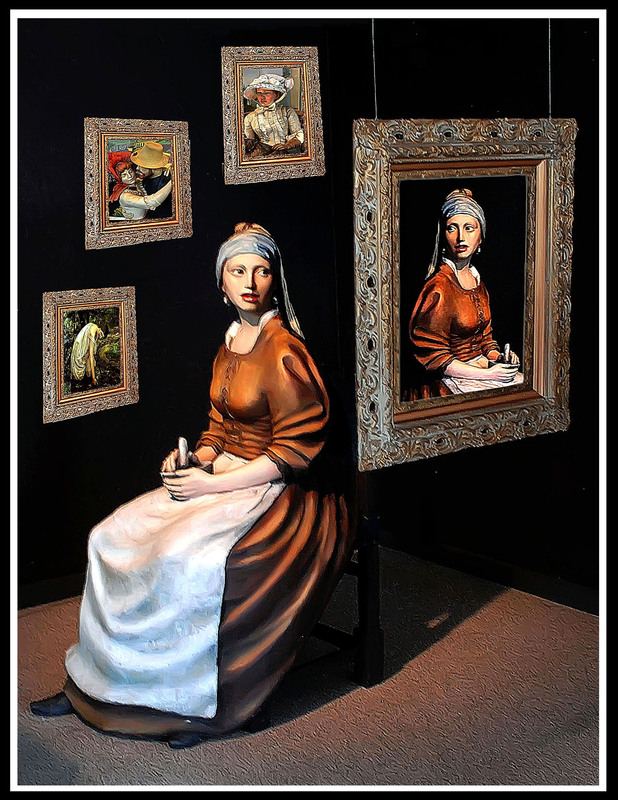 11-20-2014 Hamilton, NJ A woman sits among a series of framed paintings at the Grounds For Sculpture. The painting of her appears to be looking back at her as she sits in her chair. Paintings and frames on rear wall were added as well as the image of the subject in the main painting to complete this image.